Today I thought I'd show a few examples of the sugar figures you can do on cakes. In this first example of Dora the Explorer I drew her on sugar with food color. She is what I call a 2D design because she is not sculpted out of sugar like in out next example. For the Scooby Doo Halloween Cake the gang is also painted on sugar, but scooby, who is hiding in the grass is sculpted out of sugar. For the full effect of sculpted sugar figurines see The Swedish Chef, Micky and Minnie Mouse and Sesame Street. I know I already posted the Sesame Street gang, but they are just too cute to leave out. 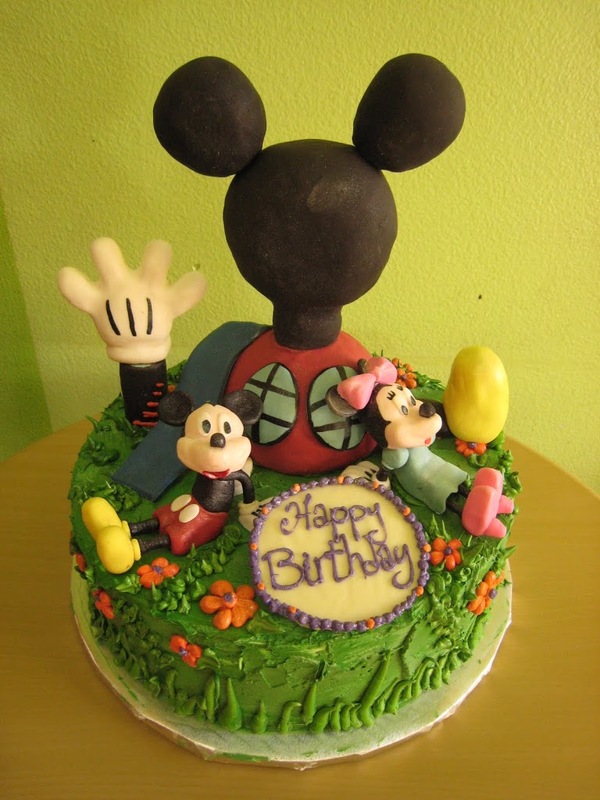 Doing sculpted figurines is a good option if your party is too small to do a sculpture cake(I usually need to work with at least 25-30 servings) or if you don't want to break the bank as sculpture cakes are more expensive.